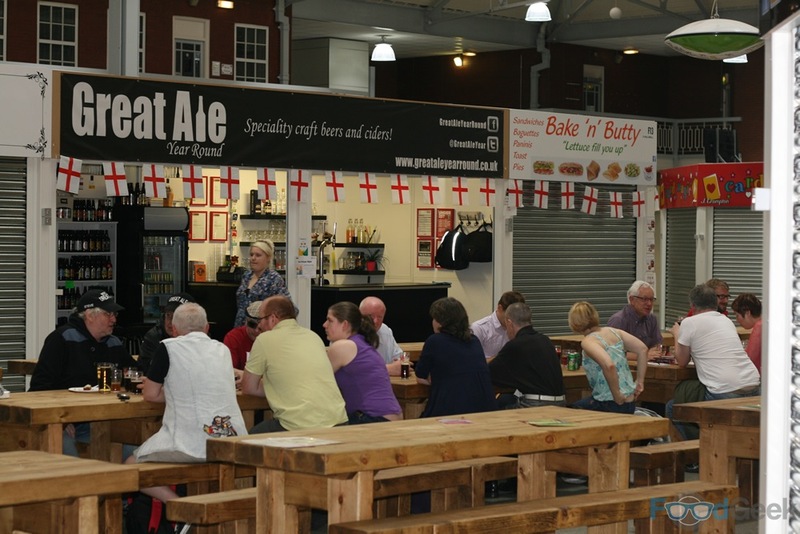 After the success of my first event with Great Ale, Year Round in Bolton Market’s Lifestyle Hall (Beer & Cheese Pairing) we couldn’t wait to put on another. We’d had many requests to repeat the cheese event – something I’d love to do in the future – but I was keen to do something completely different first. This time I wanted to not only pair beer to food but cook with it too. 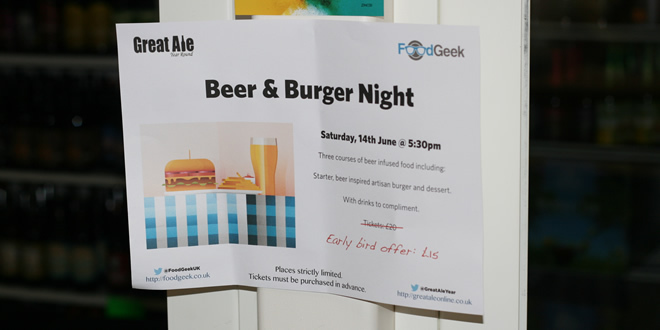 Eventually we settled on Beer & Burger Night; a three course menu of dishes infused with beer including a specially created burger containing three different beers and of course matched beers to drink. As a foodie and somebody who’s eaten more than a few burgers in recent years I knew it had to be a good one, there was no way I was going to serve anything I wouldn’t go out of my way to pay for myself. 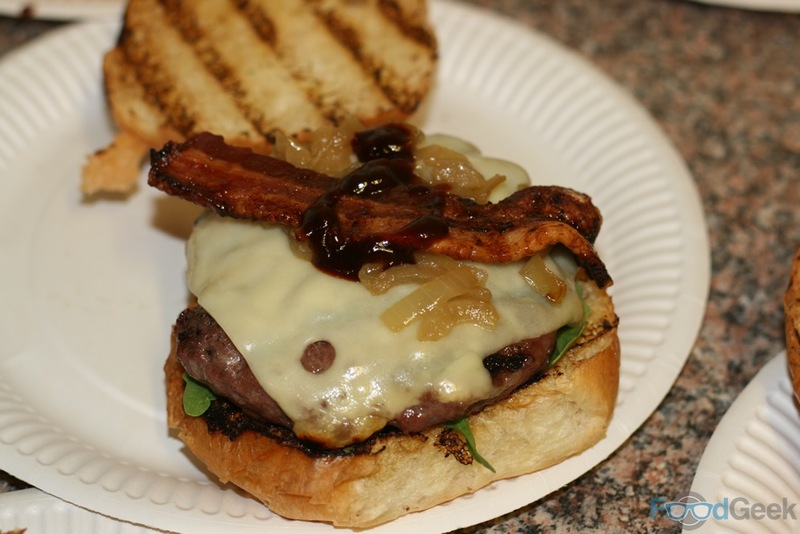 I may have got a little carried away in buying the ingredients and time I spent on preparation but it was well worth it in the end, I was pretty happy with the end result, my ‘Great Ale Burger’. All good food starts with using the best ingredients; most of which I picked up from Bolton Market, but as good as the market is there were a few things that just had to come from elsewhere. 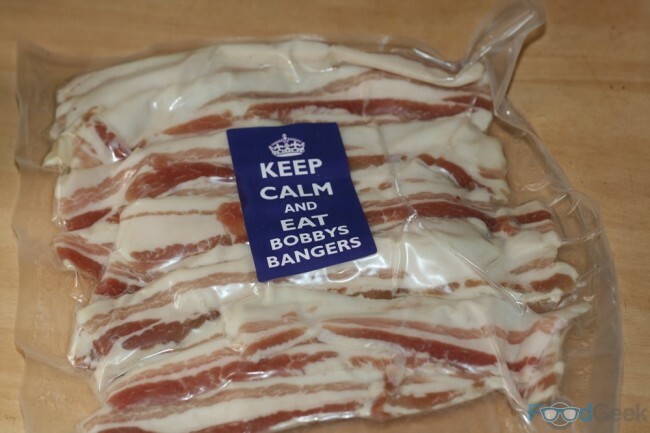 Including the brioche buns from master bakers Robinsons of Failsworth, the meat for the patties which was specially prepared by my local butcher and the best bacon in the world from Bobby’s Bangers. 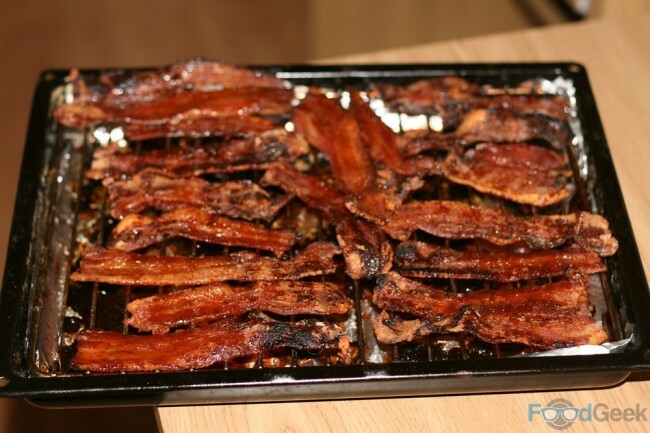 The best bacon in town! And of course lots of lovely beer! 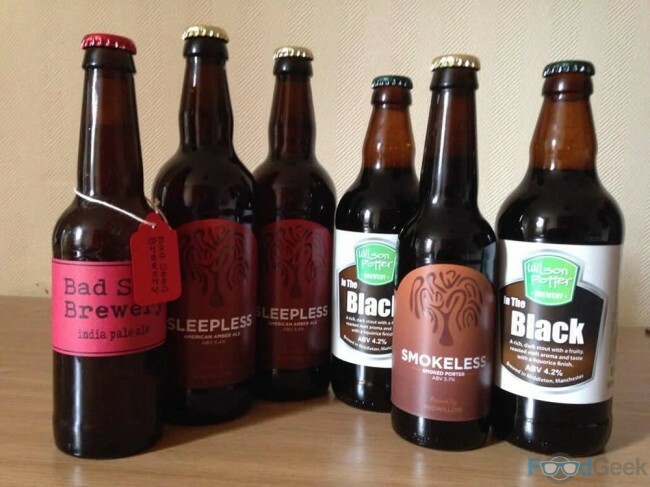 Wilson Potter’s ‘In The Black’ stout for the starter, Red Willow’s ‘Sleepless’ for the dessert and their ‘Smokeless’ for both the sauce and to candy the bacon with and Bad Seed Brewery’s IPA to spike the onions. All available to buy from Great Ale, Year Round. 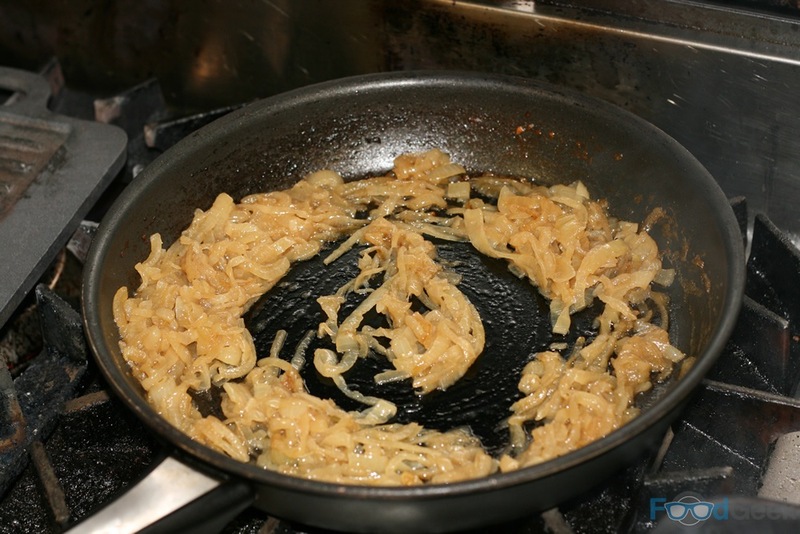 And so the prep began, I spent the entire day of the event in my kitchen frying onions in beer, candying bacon with beer, baking cakes with beer and making marinades and sauces with beer. Before transporting myself and half of my kitchen to Bolton Market’s Lifestyle Hall where Alain – of wonderful Cameroonian stall Nkoko – kindly allowed me to use his kitchen to finish off cooking. 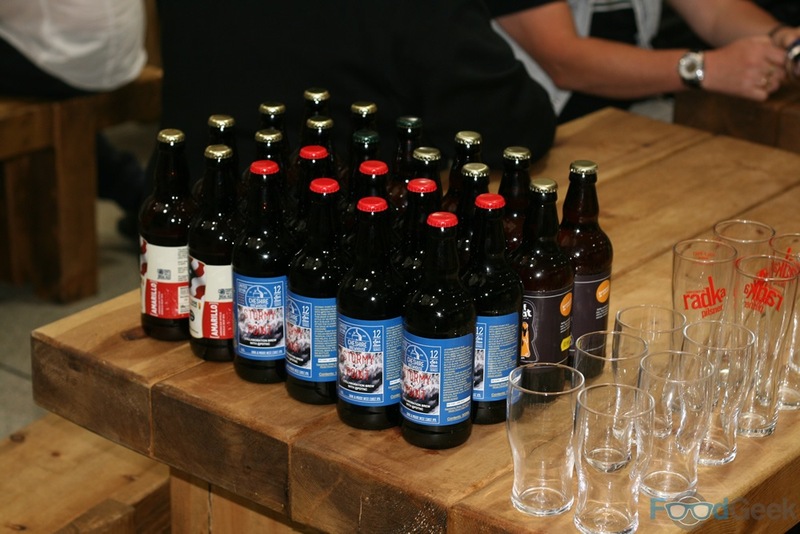 As the pressure (and temperature) was rising in the kitchen our guests had arrived and were enjoying relaxing drinks in the bar. Finally I was ready to serve! 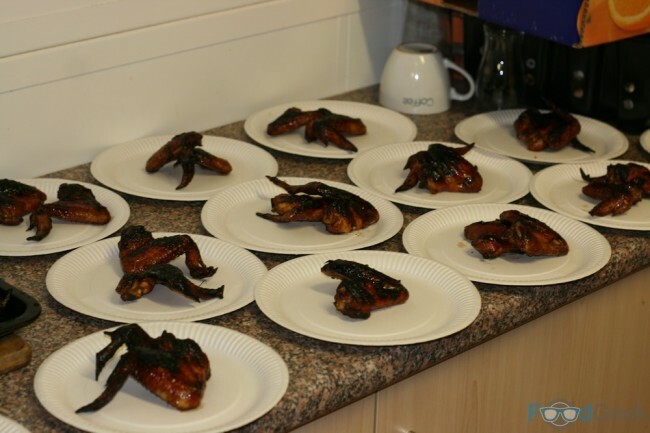 First up ‘Stout & Pomegranate Glazed Chicken Wings’. These had been marinading in a sauce made of Wilson Potter stout and pomegranate molasses overnight and then cooked very slowly in my oven at home before being finished off in Alain’s nuclear hot oven at the market. 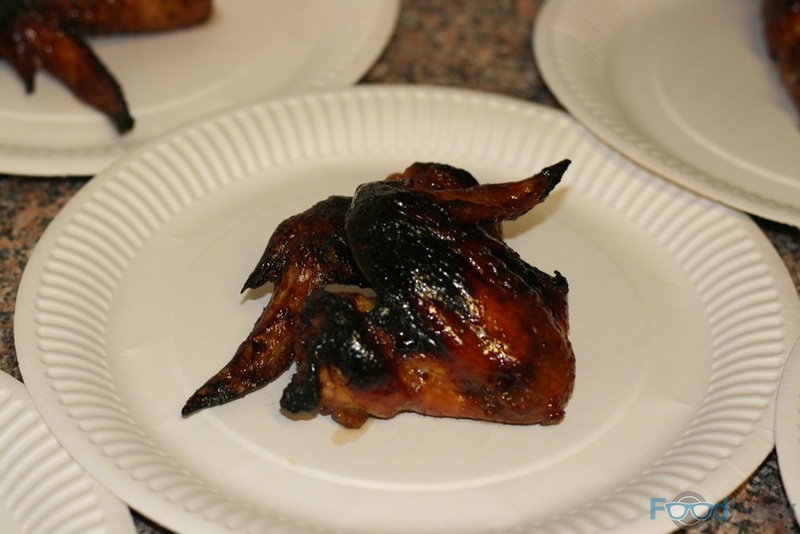 I was really happy with how they turned out, the chicken was ridiculously tender and moist with a lovely sticky glaze. Better still was the flavour; pomegranate molasses is lovely stuff – tangy and sweet at the same time – which combined so well with the fruity, roasted malt of the stout. I couldn’t resist adding a good amount of chilli for some heat and lots of soy sauce for that rich, savoury, umami taste. The end result was an intriguing combination of sweet, sour, spicy and salty all at the same time. Quite delicious if I do say so myself, it seemed to go down pretty well with the guests too! Beer wise, I paired the starter with ‘Kooky Gold’ from Off Beat Brewery. A light golden ale which is slightly sweet to counter the spicy heat and acidity of wings. There’s a touch of fruit in there which complemented the pomegranate well. It’s quite a low abv at 4.1%, intentionally so as high alcohol intensifies spice. These ones were for drinking! It was time for the main event! 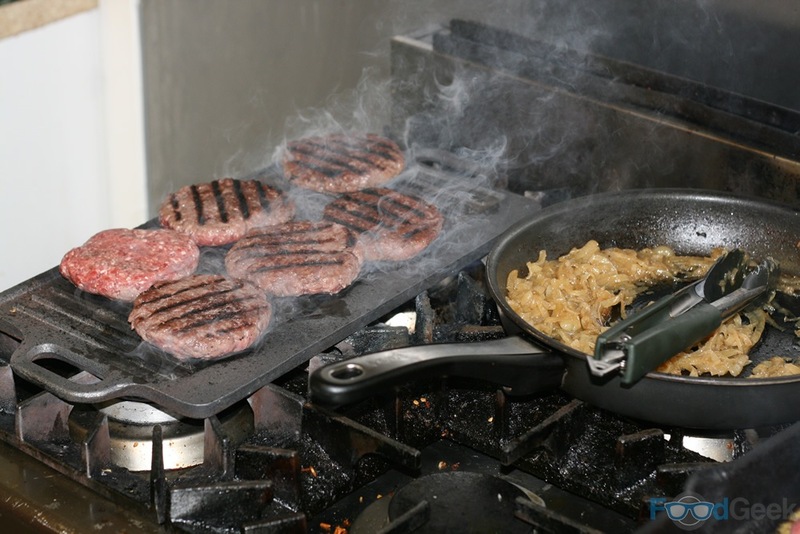 Other than cooking the burger patties themselves it was essentially just an assembly job as much of the preparation had been done already. The finished burger looked and tasted great. 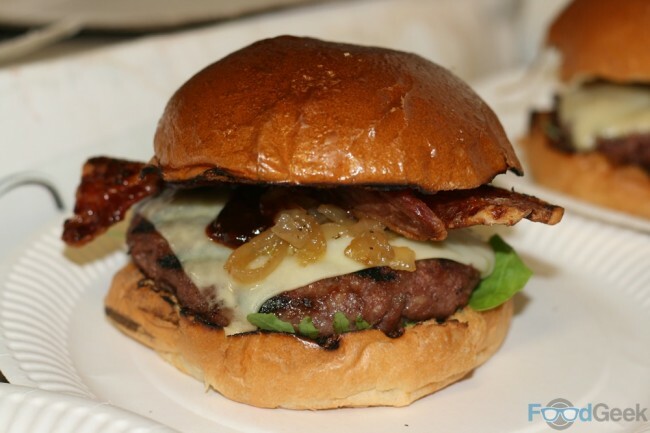 The patty, made from quality beef was cooked a perfect pink rare (and not a single person complained), the brioche bun soft and squishy with a slight sweetness but for me it was the beery ingredients that made it. The candied bacon added a great crunchy texture and an incredible sweet, smokey and meaty flavour while the sauce was also smokey having been made with the same Red Willow smoked porter ‘Smokeless’ as well as spicy Sriracha. Finally, the Bad Seed Brewery IPA spiked onions balanced everything with their hoppy bitterness. All in all it was an impressive burger but don’t just take my word for it! 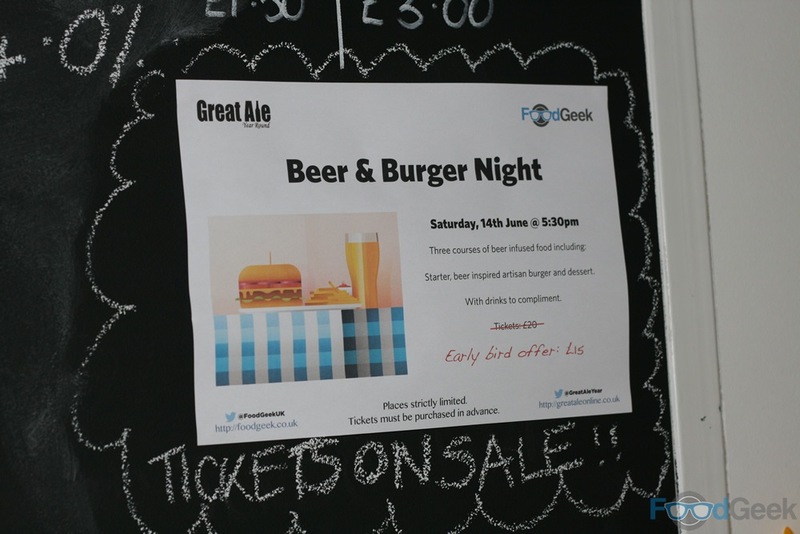 @FoodGeekUK @natterjack2 @GreatAleYear The best burger I have ever experienced ingeniously paired with the amarillo beer – yum. I paired the burger with Amarillo from Brightside Brewing, a traditional American style IPA which is a classic burger pairing. 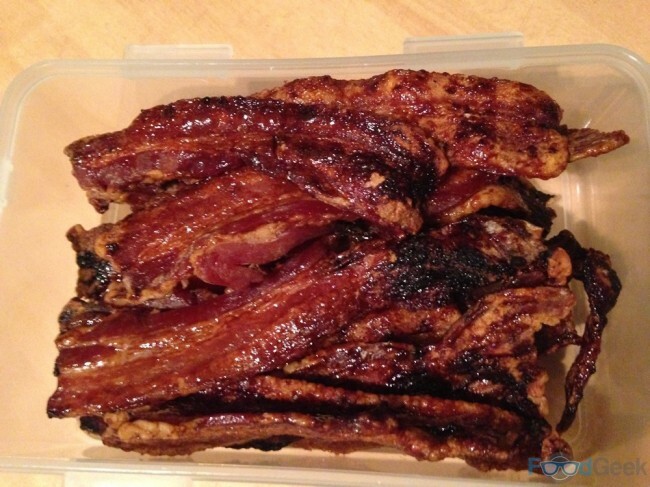 It’s refreshing with citrus flavours to balance the sweetness of the sauce and cut through the richness of the meat. Finally it was time for dessert. 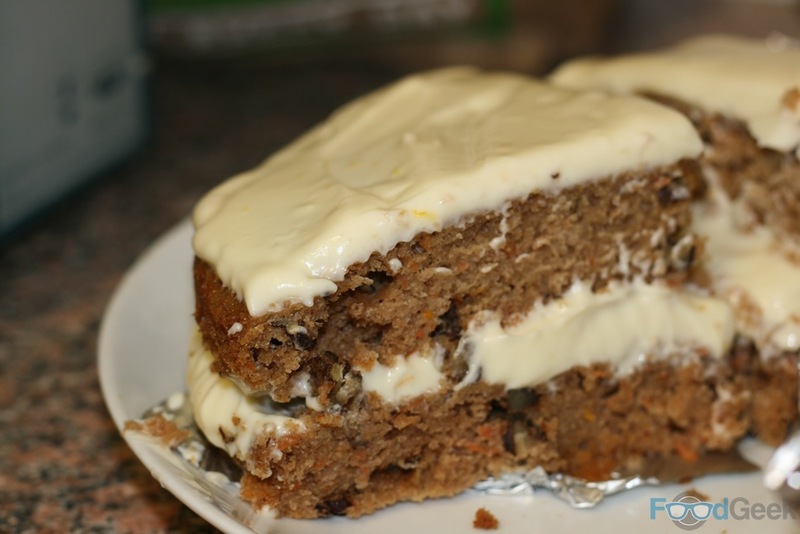 My Chocolate Porter cake went down so well last time I was tempted to repeat it but decided to go for a lighter carrot cake instead, not just any old carrot cake though this was an ‘Amber Ale Carrot Cake’. Made with Red Willow ‘Sleepless’, an American style amber ale which went into the batter itself to make a really light and moist cake as well as the cream cheese frosting. I paired the carrot cake with ‘Stormy Point’, a Black IPA from from Cheshire Brewhouse. A hybrid between dark stout like beers and a traditional IPA, my favourite style of beer at the moment, . There’s the hop bitterness you get from an IPA to balance the sweetness of the cake and cut through the fat while the fruity citrus notes complemented the orange zest in the cream cheese frosting too. But then there’s also the maltier, earthy notes that you’d expect in a stout or porter like coffee and chocolate that match perfectly with cake and dessert in general. And relax! By the end of the night I was hot and stressed but very happy. 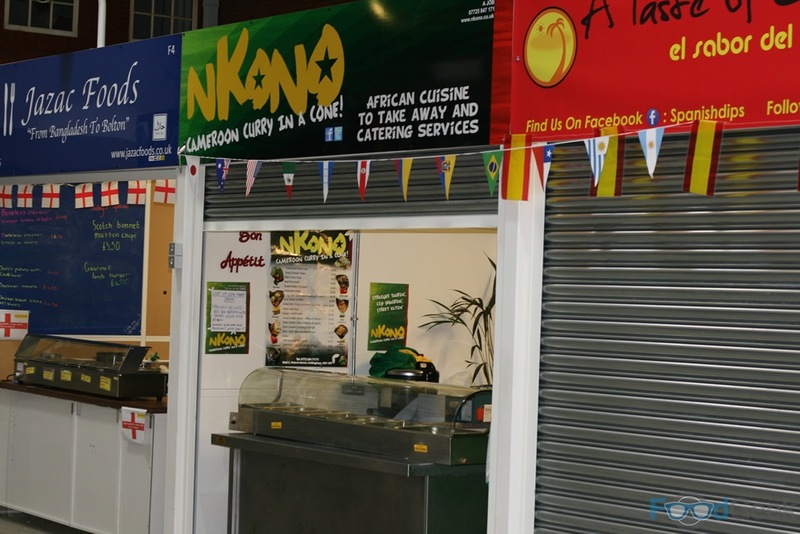 Already pleased with everything that went out but even more so after hearing the feedback from the guests. 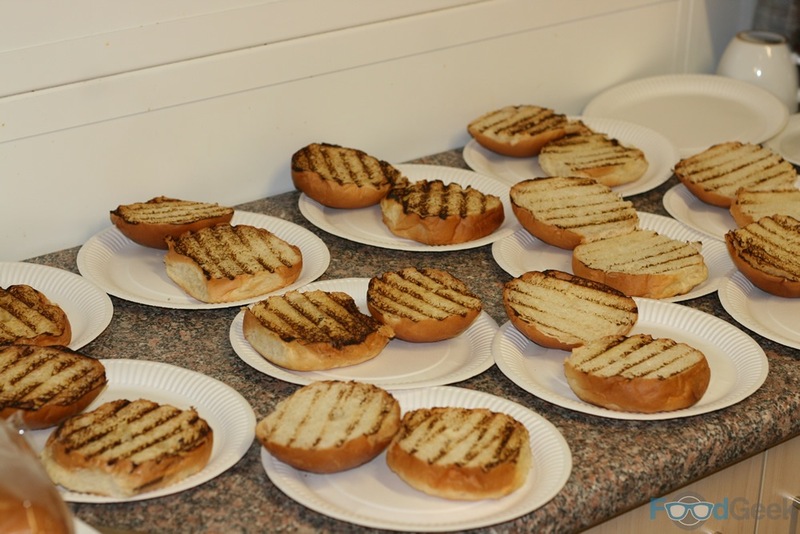 Several people claimed it to be the ‘best burger they’ve ever eaten’ and the cake was very popular as well. It’s been a few months since the event so it’s time to start planning the next one. If you’re interested in attending fill in your details below and you’ll be the first to know! 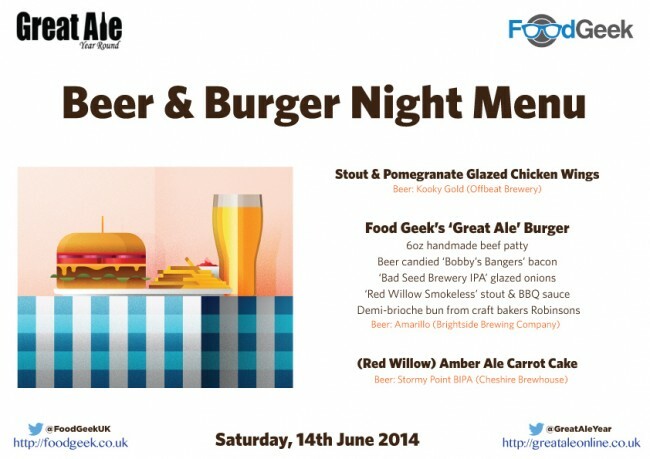 Great collaboration of @GreatAleYear and @FoodGeekUK who have provided a great evening of food and beer pairing. Inspired choices. Events like this sell out quickly, be the first to know when future events are released simply by entering your name and email address below.